This infected plant is Foxtail Barley. 28 Feb. 2015 at Phoenix, Arizona, USA. 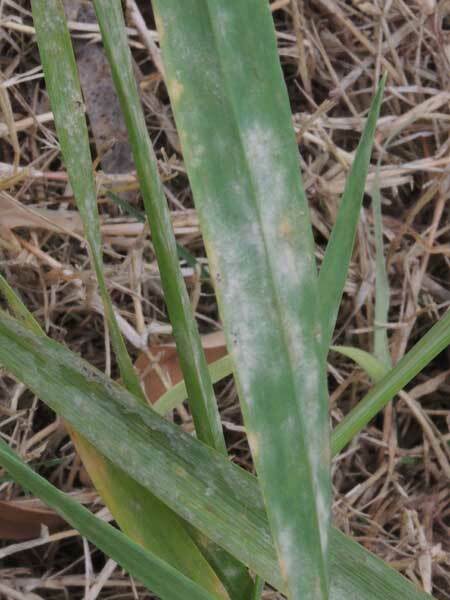 This powdery mildew in its many forms infects many grass species including those that are crops like barley and wheat. Foxtail barley is an abundant weed in the Sonoran Desert and where it is abundant this pathogen can take hold particularly during cooler, wetter than usual springs. Foxtail barley is a non-native and may be invasive in some Sonoran Desert habitats. Therefore, this form of the fungus might be viewed as helpful in maintaining biodiversity of the native species.